Most folk would be satisfied with the prestige of one Ivy League degree. But Eric Bing is not like most folk; he has earned degrees from Dartmouth and Harvard Medical School plus a PhD in Epidemiology from UCLA and an MBA from Duke University. Eric has leveraged his academic training into saving lives among the world’s most vulnerable populations by using low cost, innovative, and market-oriented solutions. For more than two decades he has provided care, developed programs, and conducted research in some of the poorest areas of Africa, the Caribbean, and the United States. Eric has designed and implemented multiple creative healthcare solutions including providing mobile phones to nurses, using vinegar to detect cancerous cells in the cervix, deploying bicycles to deliver medicines to remote locations, building health franchises and networks, and developing a costing tool to help countries prioritize their programs and invest for impact. In 2013 he co-authored Pharmacy on a Bicycle: Innovative Solutions for Global Health and Poverty which describes situations where medicine men and unpaved roads comprise the infrastructure for healthcare. 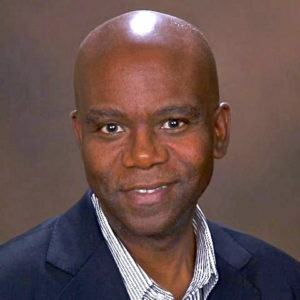 For his groundbreaking work in healthcare in developing countries, Eric was awarded the Alfred Haynes International Health Leadership Award in 2002, named in 2006 a Paul G. Rogers International Health Research Ambassador from Research!America, and named 2010 Professor of the Year at Charles Drew University. Eric currently is a professor of global health at Southern Methodist University (SMU) and spearheads the global health initiative at the George W. Bush Institute, serving as both director and senior fellow. At the Bush Institute, Eric was instrumental in developing Pink Ribbon Red Ribbon, the Bush Institute’s flagship global health program chaired by Condoleezza Rice. Funded by the Gates Foundation, PEPFAR, and Merck among others, Pink Ribbon Red Ribbon is an innovative public private partnership that combats cervical and breast cancer in developing countries. At SMU, Eric helps integrate academics and students into the policy work of the Bush Institute. He also is launching the Institute for Leadership Impact based on three pillars: education, global health, and social enterprise. He says working at the Institute is a dream job because he will be helping participants develop leadership skills in creating change via customized programs in various countries. Eric loves working with young people and derives a great deal of enjoyment from mentoring and training the fellows of Global Health Corps, a program founded by Barbara Bush, which sends young leaders all over the world to address health inequity. When not improving global health systems, Eric explores his interest in ancestry; he has completed 60 family trees for family and friends. Through this hobby and his professional life, Eric has observed that our similarities outweigh our differences; everyone’s family faces the same issues: illegitimate children, crazy aunts, bankrupt uncles, painful deaths, and fruitful lives. He gets a thrill from discovering the commonalities of various activities and challenges faced by organizations and people. Finding a common bond is what makes him so successful in working with computer scientists, engineers, doctors, volunteers, anthropologists, students, and professors. Eric now calls Dallas home after working for Charles Drew University in Los Angeles for twenty years. He has acclimated to Texas like a duck to water. In 2014 he was a finalist for Texan of the Year after living in the state for only three years. Perhaps his collection of 30 pairs of cowboy boots and his prowess in country line dancing gave him a leg up! My parents were trying to decide between E. Gordon Bing and Bryan Scott Bing and on a whim choose E. Gordon. I never liked Gordon so have always referred to myself as Eric and named my son Bryan when he was born. Just last year however, I finally learned the of significance of both the names my parents had considered for me. Bryan was the last name of the slave owner that in 1753 emancipated the Bing branch of my family in South Carolina. Gordon was the grandson of the original free Bings. I wanted to be a botanist or a dentist. I’m neither. I want to be exactly what I am: a person who helps others achieve their potential. I’ve learned and grown from everything that I’ve done, even when it has hurt – well, especially when it has hurt. So, I don’t think I’d want to redo anything if it meant unlearning an important lesson. Mindsight by Dr. Dan Siegel. I started it as an audio book but then purchased a hard copy of it in order to take notes in it. I would live in a developing country, perhaps Rwanda. My biggest challenge is remembering that while I can do anything that I want, I can’t do everything that I want. With each passing day, my time on earth grows smaller, and the importance of focusing my time on the most meaningful things grows larger. Cowboy boots. I have 30 about pairs. The power of forgiveness. When I hold onto grudges, I relinquish my natural power. My sister Diana. She’d love it, and we’d have a ball.